RaMBaN. Commentary on the Torah. Pesaro 1514. Important edition of the classic commentary by the RaMBaN. As is well known the most popular commentary on Chumash after Rashi is undoubtedly the commentary of the RaMBaN. He frequently cites and disagrees with Rashi’s commentary, and provides alternative interpretations where he disagrees with Rashi’s interpretation. Intermingled with agaddic, mystical and Kabbalistic interpretations, for hundreds of years many great scholars have studied the Ramban in great depth, and it is undoubtedly one of the most fundamental works of the Rishonim. 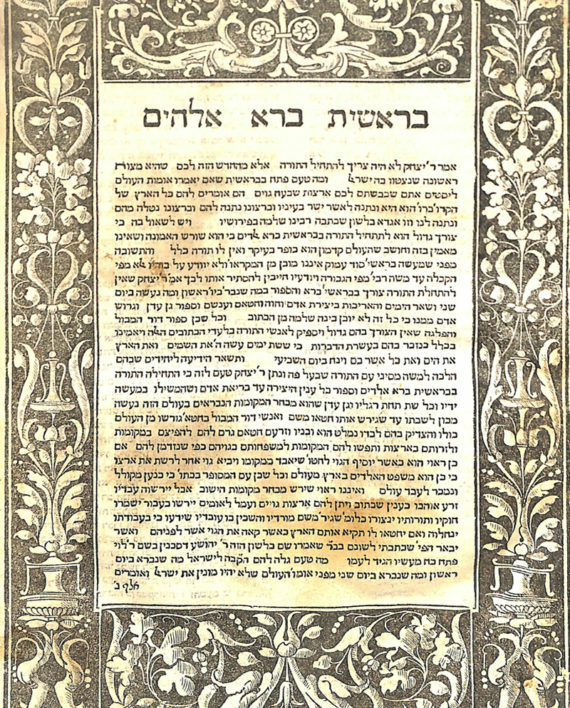 See introduction to sefer Birchas Yitzchok (Super commentary to the RaMBaN) by R. M.Z Eisenstadt where he writes that the Pesaro edition is the most accurate of the early editions. Vinograd Pesaro 34. Soncino press. Contains 165 pages out of 178. 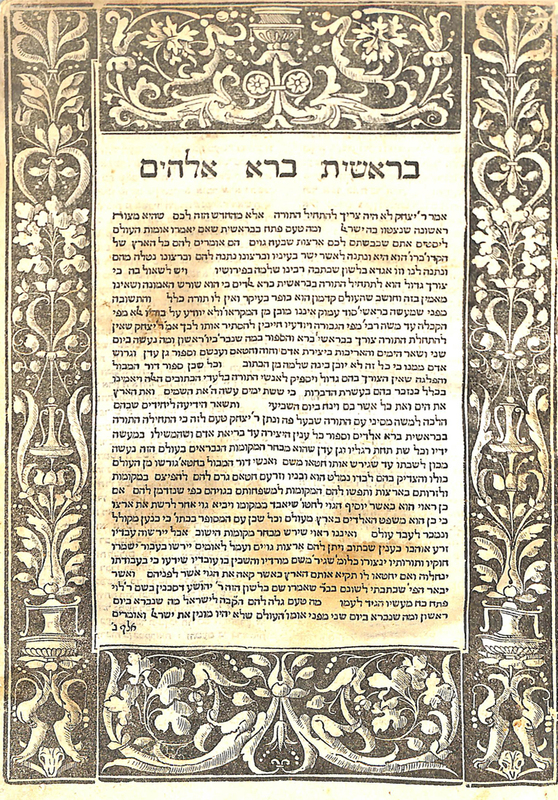 Lacking final pages in sefer Devorim as well as page 3 with prose by the printer. 28.5 cm. Good condition, very minor worming and some water stains. Fine Vellum binding.